Product prices and availability are accurate as of 2019-03-25 08:03:38 UTC and are subject to change. Any price and availability information displayed on http://www.amazon.com/ at the time of purchase will apply to the purchase of this product. 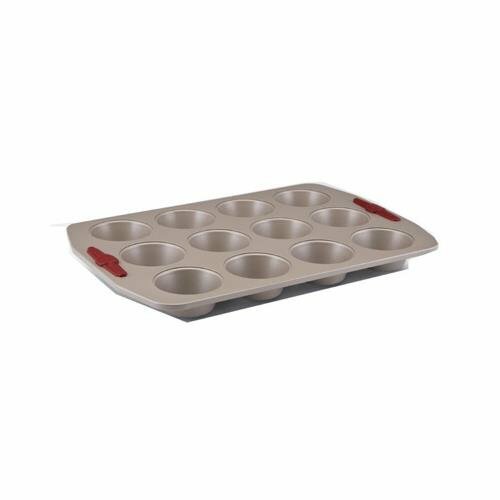 Paula Deen, 12 Cup, Non-Stick Muffin Pan, Extra Ordinary Food Release & Easy Cleaning, Heavy Gauge Construction For Efficient, Even Heating, Brightly Colored Silicone Grips & Extra Wide Handles Provide A Comfortable, Slip Free Grasp, Oven Safe To 500 Degrees Fahrenheit, Dishwasher Safe.